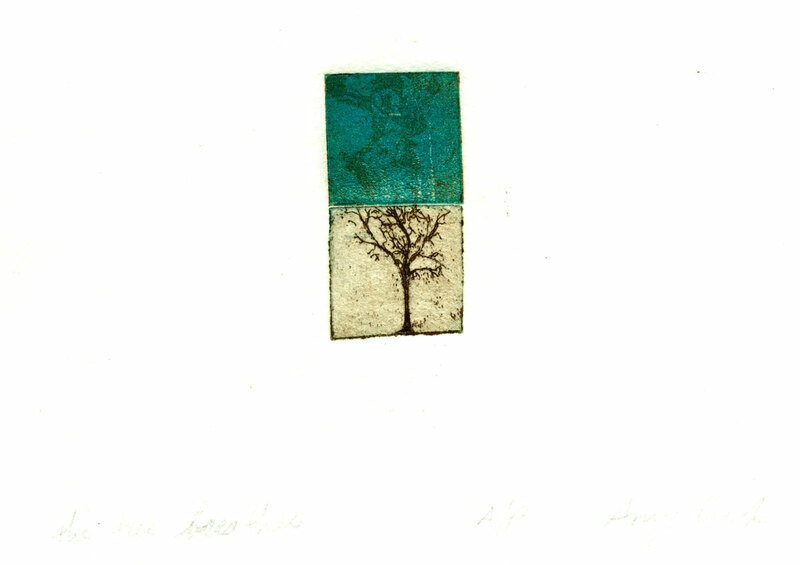 This is another one-of-a-kind print done using my tiny etching plates. I almost forgot completely about it, ironically because it’s framed from having been in a juried show once long ago. I gently pulled it out of its matte, and then used more archival corners to re-attach it to the matte after I scanned it, and then put the whole thing back in its frame. I think the tiny tree is my favorite of all the tiny plates I made, though I only used it (or any of them) a few times. 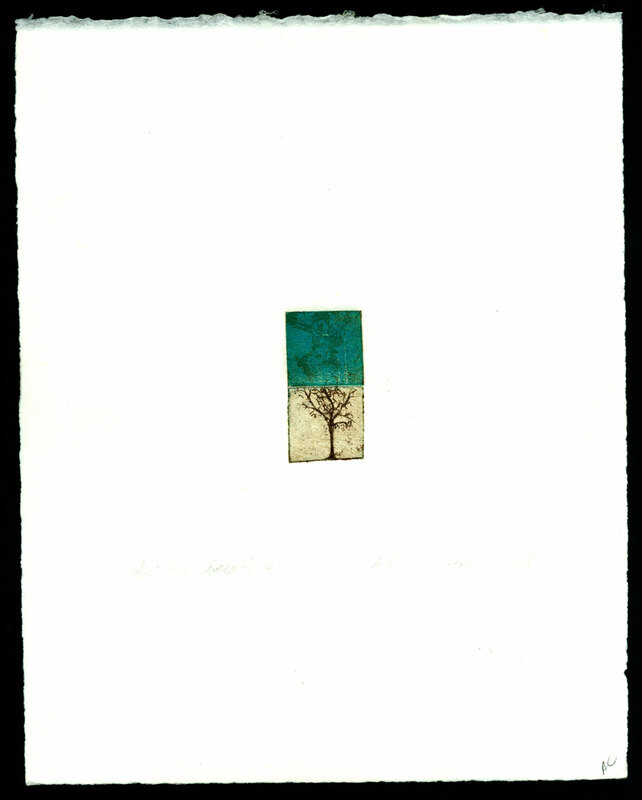 The Tree Breathes, 1″x2″ etching on 8″x10″ watercolor paper, $499 framed with free shipping.